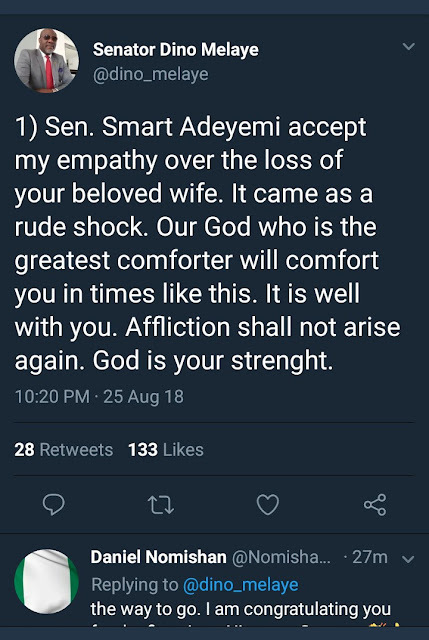 The senator representing kogi west senatorial zone, senator Dino has taken to his twitter account to commiserate with senator Smart Adeyemi whose wife, Yemisi Smart Adeyemi died in the early hours of today after a brief illness. 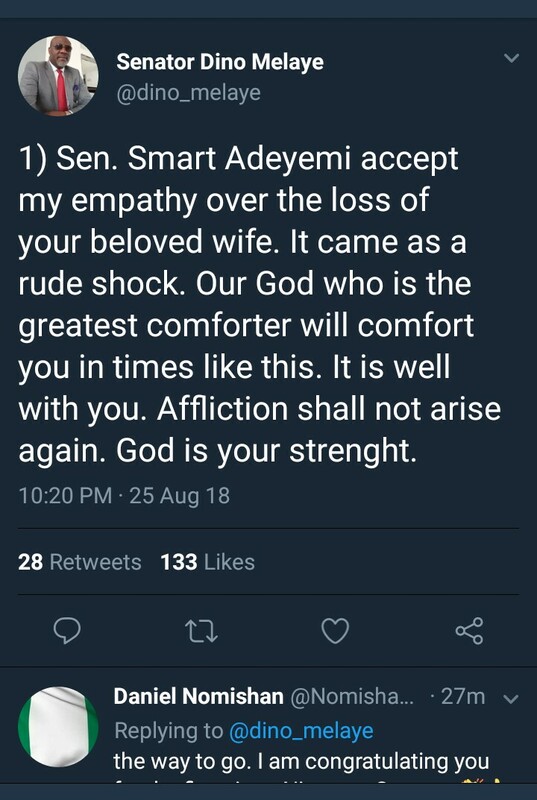 Sen. Smart Adeyemi accept my empathy over the loss of your beloved wife. It came as a rude shock. Our God who is the greatest comforter will comfort you in times like this. It is well with you. Affliction shall not arise again. God is your strenght. May the Almighty God grant you the fortitude to bear this irreparable loss. 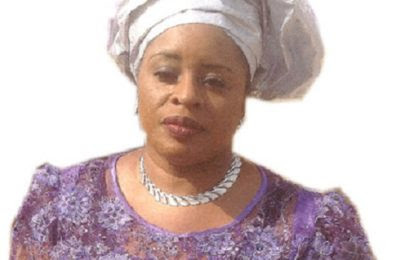 May her soul rest in peace.- Sen. Dino Melaye.